1800Flowers is having a Spring Friends & Family Sale on now! Save $10 off sitewide on orders of $49.99 or more! 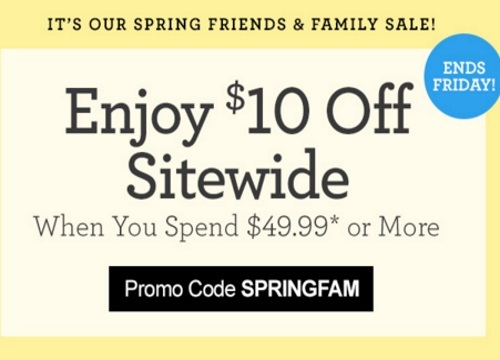 Enter the promo code SPRINGFAM at checkout. Offer ends Friday, April 15, 2016.